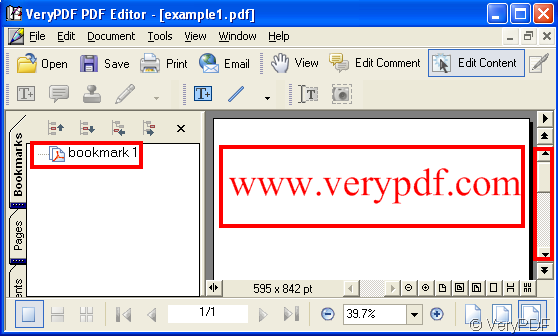 ← If the working ststem of my computer is Vista, can I use PDF to PowerPoint Converter? 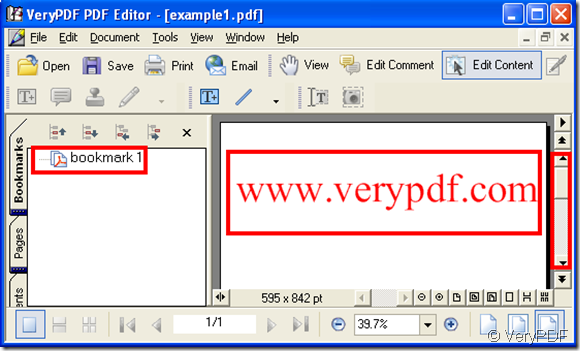 In order to mark the content you need add a bookmark, thus you seek the content easily later. 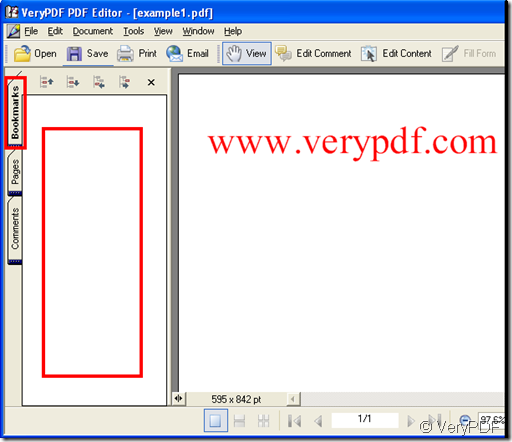 As to pdf file you can add a bookmark to it by use of “verypdf pdf editor”, download the software at www.verypdf.com first. 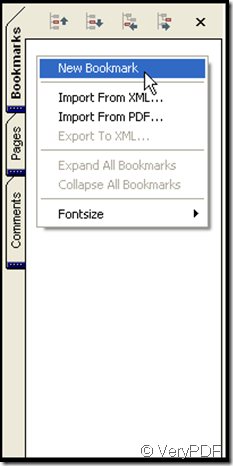 Thus you can edit the name of the bookmark, if you need more bookmarks repeat the step. 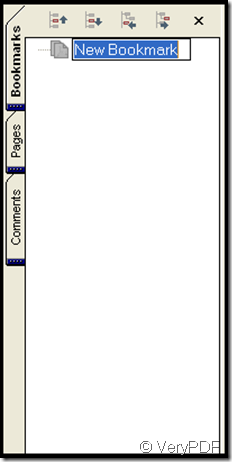 This is how to add a bookmark, next I explain how to use it. 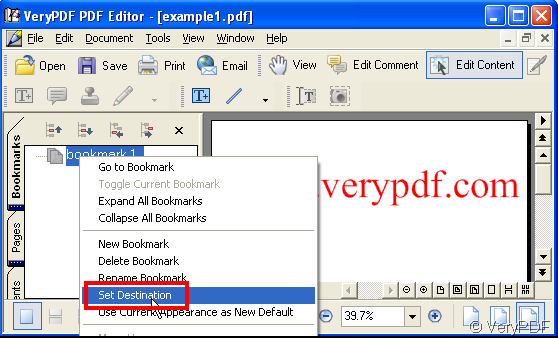 When you have added a bookmark it indicates the current location of the pdf file, so when you browse other content of the pdf file, click the bookmark, the former content will be back. 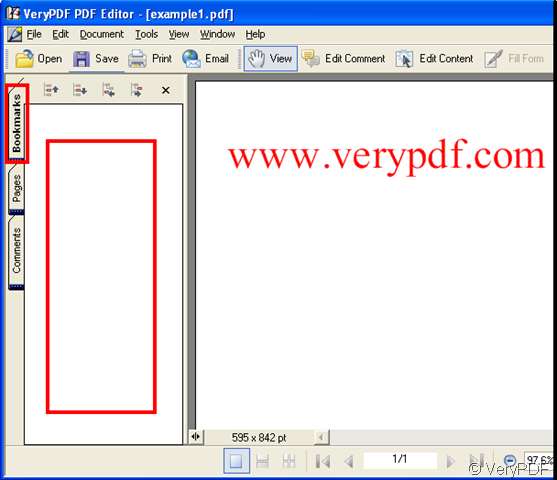 Step 1: Drag the slider of the pdf file, make the article display in the same level with the bookmark, let the bookmark see the article in the space of the pdf file. 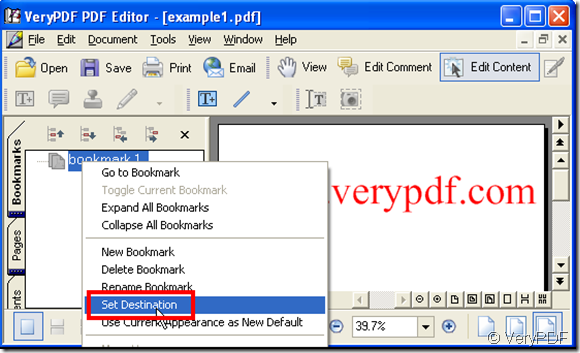 Step 2: Click the “bookmark” and right-click, choose “set destination”. After the two steps the bookmark can indicate the article, once you click the bookmark, the article will be back.